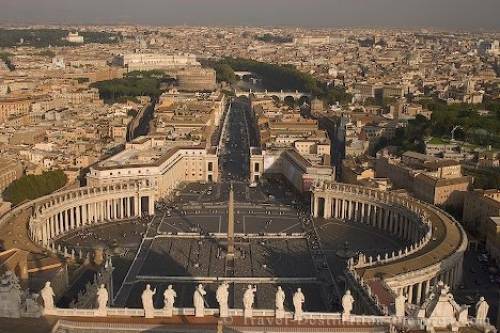 View from the top of St Peters cathedral, the monumental centre of the Vatican, Rome, Italy. During the late afternoon hours the city is bathed in a wonderful soft light and on a clear day the view goes as far as to the mediterranean some 30 kilometres away. from St Peters Basilica, Rome.